Can you help trace the driver of this car? Police have issued a CCTV image of a vehicle they want to trace after a hit and run collision in August. 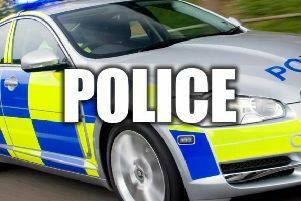 A woman cyclist was seriously injured when her bike was struck by a red or maroon 4x4 in the village of St Michael’s. The 45-year-old was dragged along the road after the collision at the bridge near to the Grapes pub and suffered a broken pelvis and internal injuries. The driver made off from the scene. The collision happened at around 6.40pm on August 16. Officers say they would like to trace the ‘old style’ Land Rover Discovery which was captured on camera. Sergeant Finn Quainton, of the Roads Policing Unit, said: “This was a nasty collision which left a woman with serious injuries. “We are now keen to speak to the driver of the Land Rover seen in CCTV images as we believe they may be able to help with our enquiries. Anybody with information should contact police on 101, quoting log number 1265 of August 16th.